We are all looking forward to a year with lots of learning and lots of fun! I am Selina the class teacher and Gemma is our TA2. We have two additional teaching assistants; Clare and Elaine. On a Wednesday afternoon, Alison covers my planning time and will be doing lots of creative activities with the children. I hope all the children had a relaxing half term break. It may be the Summer term but we have lots of work to do in Emerald Class! Our new topic is, ‘How does your garden grow?.’ We will be looking at flowers, minibeasts, fruits and vegetables with a range of creative and scientific activities such as taking apart and exploring flowers, decorating garden ornaments and printing with fruit. We will be visiting Grove Farm at the end of the term to go fruit picking. In parallel to this we will be making salads in cookery and with the brighter weather(!) be out working in our own garden growing produce, so the children should get a chance to really handle and experience the food that we grow. We will support the topic with ICT and get the children outside photographing all the wonderful things we are growing. In Literacy we will be reading, ‘If only.’ A story set in a garden about a tiny black caterpillar who want to be like all the other minibeasts not realising he will turn into the most dazzling butterfly. Towards the end of the term we will be reading and joining in with an exciting garden action poem. In Phonics as always one group will be looking at listening to environmental sounds and the next group will be learning more sounds and blending to read and segmenting to spell. This half term in Write Dance we will be doing a life cycles themed mark making. Science will be tying in with topic with lots of garden work. We will also be using the good weather(!) 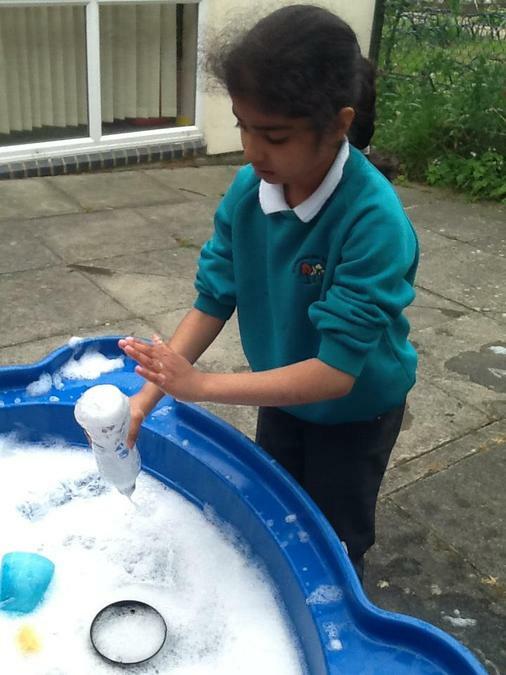 to get outside and do some sand and water play. We will be going on a trip to Leighton Buzzard splash park in June to take our science sand and water play to an exciting venue. We are already busy practising a performance for our school festival, ‘East meets West,’ as part of our expressive arts curriculum. 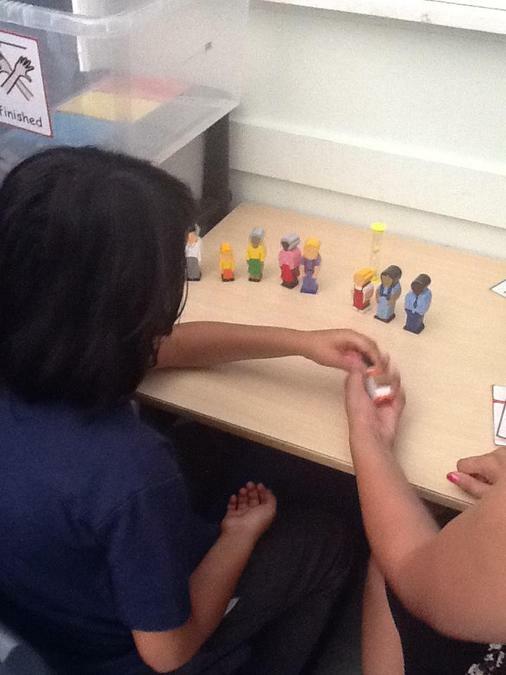 We will be continuing to have engaging attention autism sessions to develop the children’s concentration. As it creeps up towards the end of the year, I would like to say that I am very proud of the hard work and achievements of all of the students in Emerald class. I am sure you have seen the phenomenal progress at home. Keep up the good work children. Please keep coming back to this page for photos of our ongoing work and new achievements! In Literacy we will be reading, ‘The Three Little Pigs.’ We will be exploring the story through acting and saying the repetitive lines, sequencing the story and finally recording our own version of it using a green screen. Here is a song you can share with your children at home. In Phonics one group will be looking at listening to environmental sounds and the next group will be learning more sounds and blending to read and segmenting to spell. This half term in Write Dance we will be drawing a lighthouse by the wavy sea to some Disney themed songs. Science will be tying in with our story where we will be looking at materials and using words to describe them such as hard, soft, smooth or rough. Then as the weather improves(!) 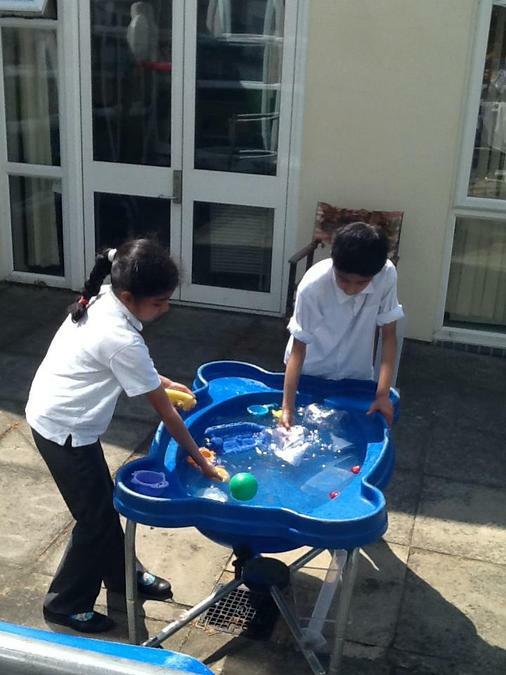 we will be exploring some water play. In ICT we will be practising our listening skills and identifying animals from their sounds and creating postcards and posters- linked into our topic visits. We look forward to an excellent half term. Hopefully, we are putting the long, cold and dark Winter behind us(!) and to put us in a good mood moving into Spring is our new and exciting Science topic- Spellbound! This is the first time it has been taught at Richmond Hill and we have had a lot of fun planning. We will be getting creative in our potion laboratory in class making slimes, creating fizzes and bangs, mixing liquids, exploring our senses through making scented playdough, exploring the coldness of ice and looking at how heat can change something. 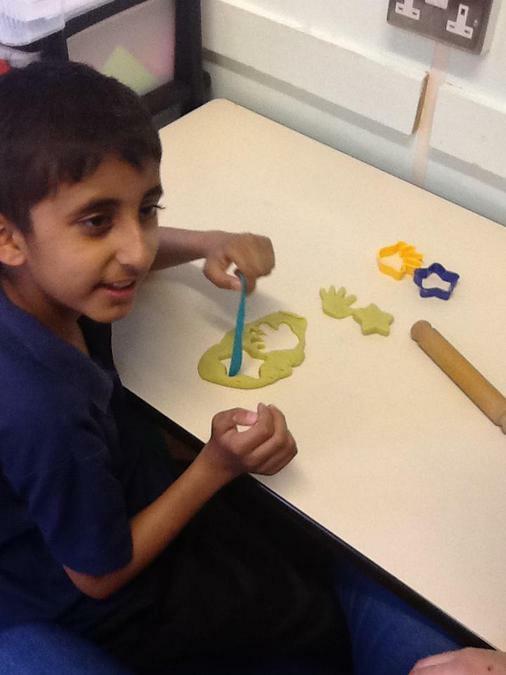 In Literacy, we will be revisiting, ‘Room on the Broom’ and exploring a poem by Julia Donaldson called, ‘Handy work.’ All about the things our hands can do. Then towards the end of the term, we will be reading, ‘Winnie the Witch’ and getting to know her and her cat Wilbur. Lots of spelltastic stories! For this half terms Write Dance we will be drawing an owl- big and little circles, lines and zig zags. Will our owls look like the one below? By the end of the term we hope so! 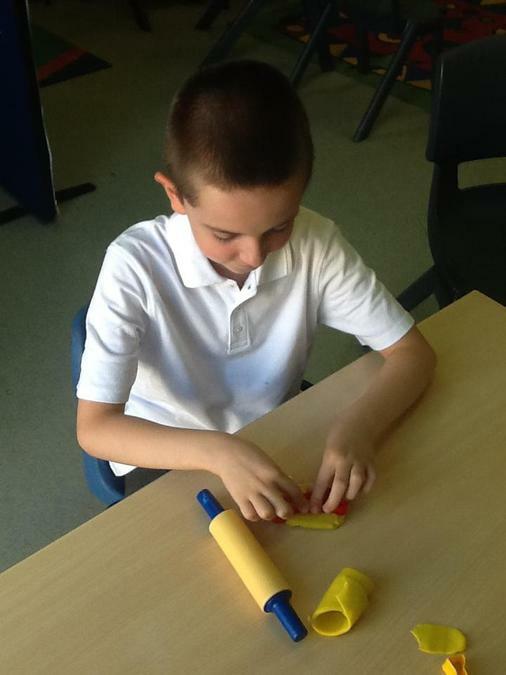 In Maths and as always, we will be working with playdoh to music working all those finger muscles. I am hoping to introduce a maths tuck shop/toy shop on a Thursday where children can use money in class to buy what they really want. A great incentive to count and use our pennies! 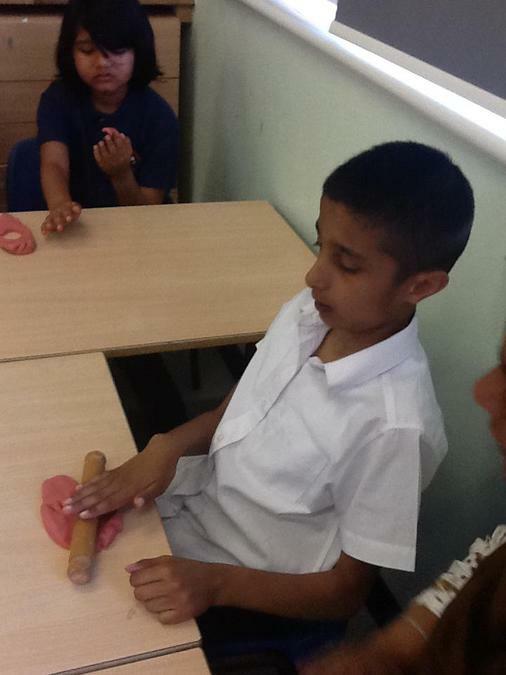 In out ICT sessions we will be playing along to songs and videoing and making audio recordings of ourselves. Do you think we will be able to recognise ourselves, friends or teachers? We will also be playing games listening to animal sounds, instruments and environmental sounds and trying to identify what is making the sound. It is going to be a good half term! Welcome back to all the children in Emerald Class after a busy Christmas break. We have an exciting and short half term ahead. Our topic this term is, ‘Pictures, Paintings and Photographs.’ We will be looking at a range of artists and styles including Paul Klee, Wassily Kadinsky, Andy Warhol, Henri Matisse and Monet. In the final week of term we look forward to inviting you in to see our gallery of all our creations! In Literacy we are reading, ‘Doing the animal bop’ where we will be moving like animals. 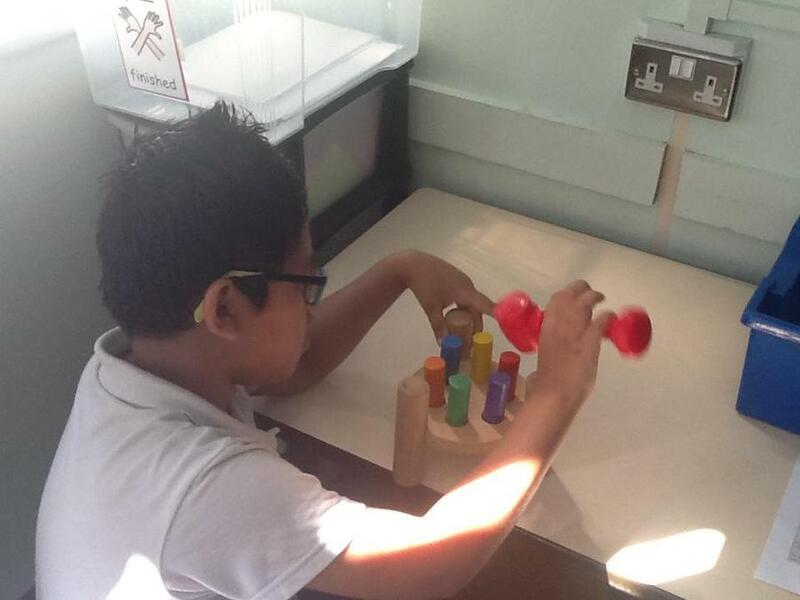 We are covering the sounds m,a,s,d and t.
In Maths we will be working on a range of concepts such as number, big and small objects, playing with toys, handling shapes. We will be doing a soft play trip this term to work on the children’s social skills and develop play and also a trip to Stockwood Park to view the photographs exhibition. As always we will be doing lots of fine and gross motor work. 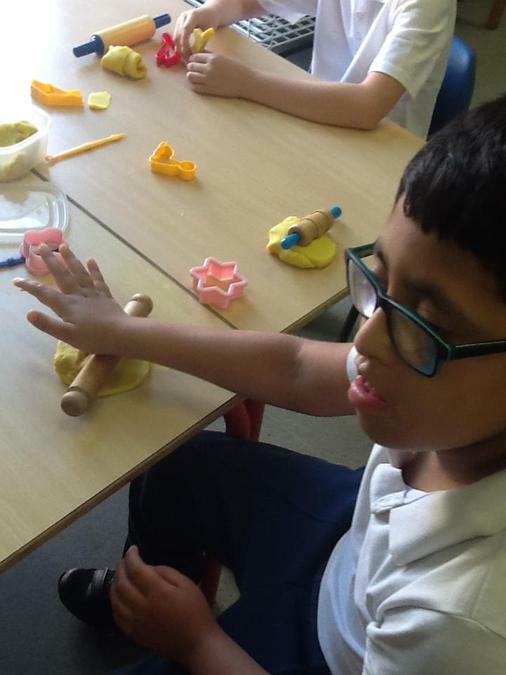 Write Dance where we move our hand and arms to music- this term learning how to draw a face, and Dough Disco where we manipulate playdoh to music- important for maths skills and developing hand strength. In ICT we will be creating images and pictures to link in with our topic and in science developing our understanding of colour. A short but busy half term. Looking forward to it! We have had a busy half term already! There have been some changes to the children in Emerald Class and we welcome our new children and look forward to lots of fun and learning! 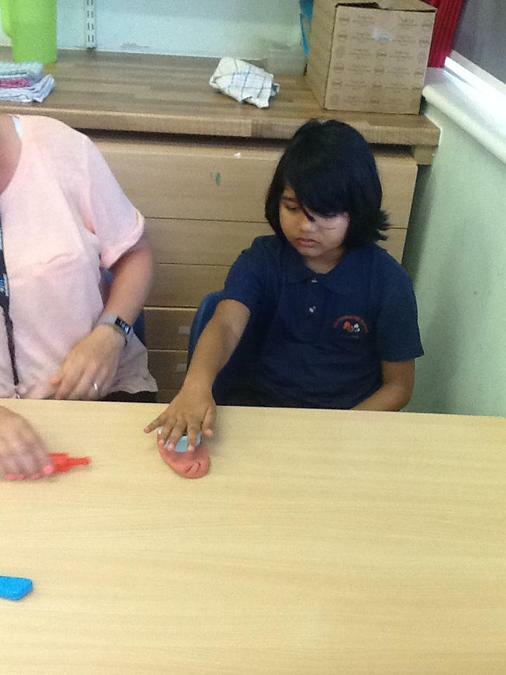 We wish good luck to the children moving onto other classes. In Literacy we have already spent time reading the book, ‘Snow White and the Seven Dwarfs.’ We have made magic mirrors and our miniature dwarfs. Although we have finished the story, you will find us revisiting it with our Christmas performance. Watch this space…! Our new story is called ‘Whose feet?” where we are guessing the animals feet! We will be making our own pages for this book using our own feet. In the run up to Christmas we will be reading a Christmas story. 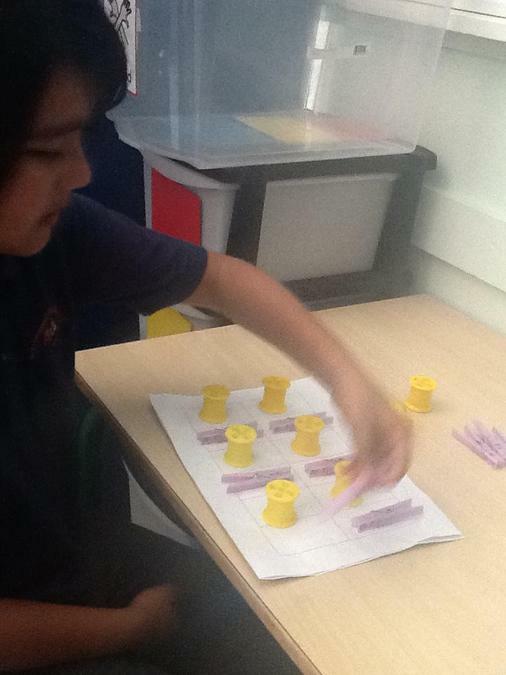 Emerald Class love maths lessons and are particularly good at them! Lots of practical activities building, using puzzles, learning about shapes and shorting into big and small and ordering by size. Our Topic is ‘Let there be Light’ where we will be focusing in on festivals and the light around us in these dark Winter months. We have already learnt about Bonfire night and Divali and there will be lots of Christmas activities coming up later in the term. 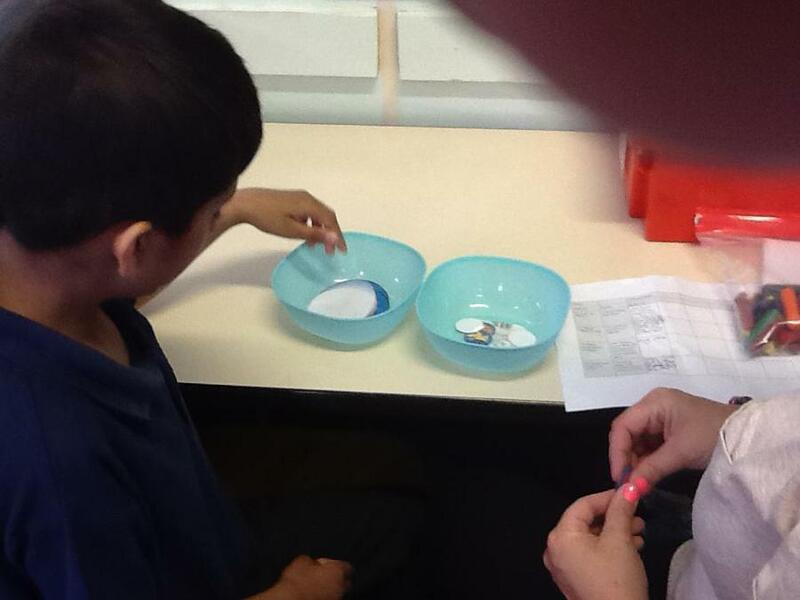 Science is colour mixing and which link in well to our topic on light. We will be mixing and making and exploring all the colours around us. We look forward to a busy term! 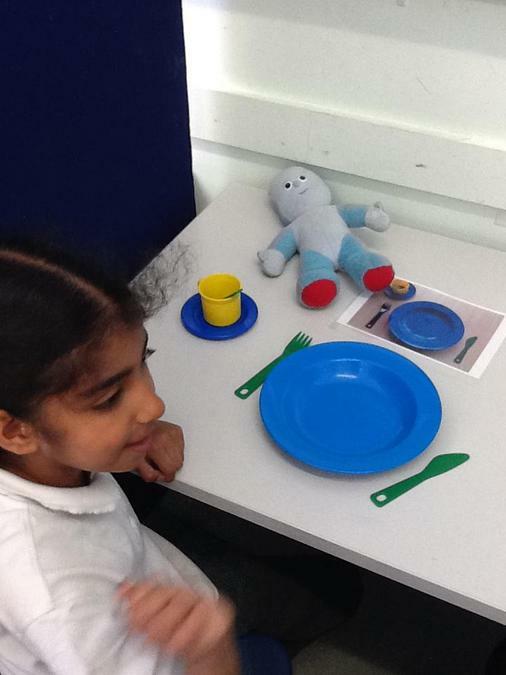 We want all of our children to become independent learners so we are trying to use some TEAACH strategies in class. We have workboxes with activities that the children complete by themselves and put in a green finished box when completed. Though we have just started this, I am really pleased with how quickly the children are learning to do things by themselves. Well done Emerald Class! This term we will be reading two books; Draw me a Star and Little Cloud by Eric Carle. Both are very simple creative books which we will be exploring through our senses such as collecting leaves to make a tree, using torches to represent the sun, spraying perfume to represent flowers and rainbows streamers to show the rainbow. In Phonics are working on listening- making and listening to musical instruments, noisy objects and toys and environmental sounds likes barking and aeroplanes. 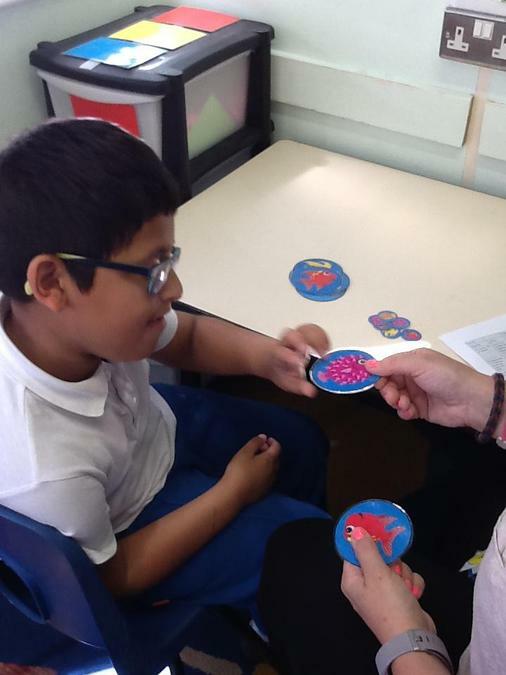 We also teach communication skills and we are using PEC’s and speaking where possible, to ask for pieces of a game or toy we are playing with. We are learning to write through dancing with our hands to music. 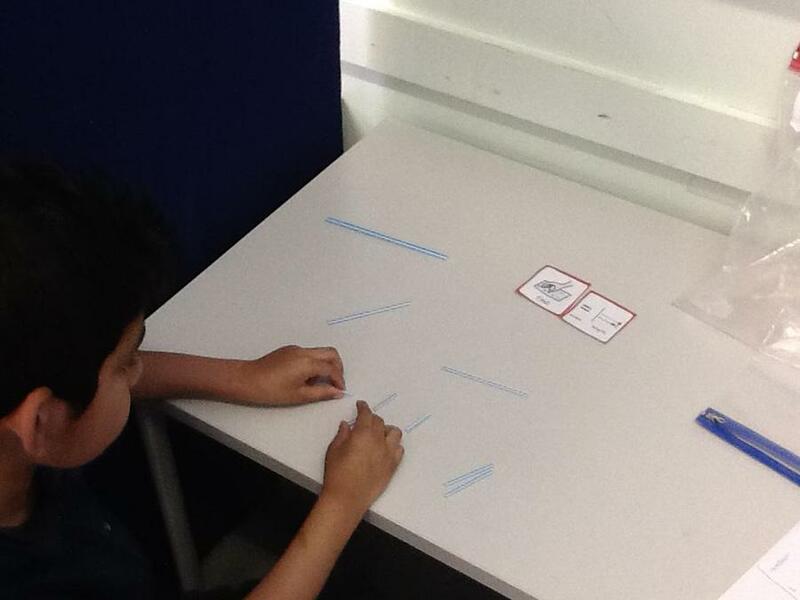 This term we have a robot dance where we do horizontal, vertical, circular and zig zag lines. This will help us develop our hand control and eventually construct letters. 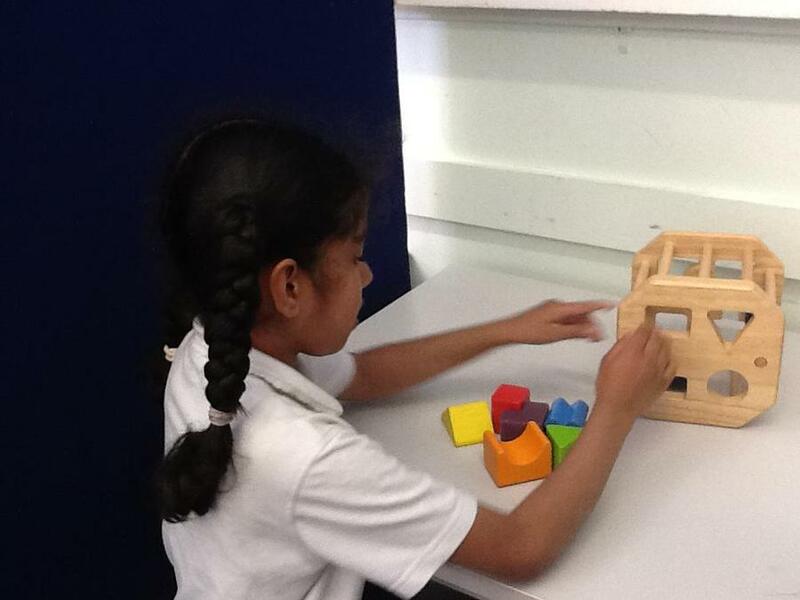 Robots and shopping are our Maths themes this term. We will be handing and working with 2d and 3d shapes for all sorts of Robot activities and have already built some brilliant junk model robots. Lots of construction with bricks, duplo and knex. Matching shapes to pictures and to other shapes. Later in the term we will be handling money and learning how to play shopping. Our topic is, ‘What a load of junk’. We have been exploring materials such as paper, plastic, wood, glass and metal and being creative recycling these. We have explored magnets, painted on foil, explored water glass sounds, looked through magnifying glasses, pierced holes in plastic to make them rain in the water tray, built plastic flower pot drums and made sensory water bottles. So many fun learning activities! And many more to come! Please come back to this page through the year where you will see class updates and photos of all the great things we are learning.